Android N is expected to be revealed at Google I/O 2016 . 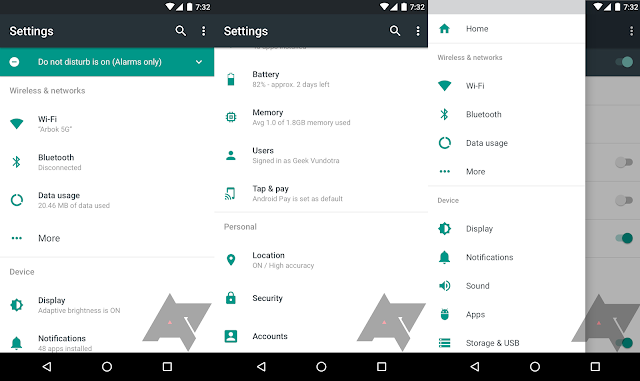 But you don't have to wait for Google I/O to get a look of Android N .
Few weeks ago images of Android N was leaked online which shows Light and Dark theme Option and Advance Setting panel , New Notification Panel and Quick Settings . The new settings seems to be more advanced , many of the setting can display the status ( Data usage , Battery percentage etc ) . The hamburger menu will also be there to navigate quickly between different setting options .